At La Minhaz it is not only the food that brings back our customers, but the wonderful service. Our menu contains our perfected dishes created by our team of chefs who demand only the best. 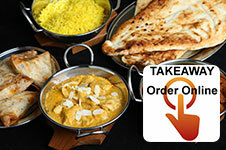 Laminhaz offers a takeaway service to give you restaurant quality food in your own home. So, if you can't make it to our restaurant, let our restaurant come to you! Why not reserve your table online? 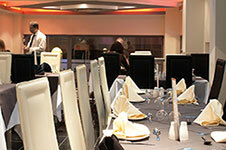 Tell us the desired date, time and size of party and your table will be reserved for you for the evening. Love this place. Food amazing and great staff. Fantastic restaurant. We have been 3 times now and every time we have great service and fantastic food. 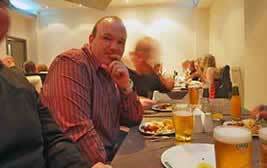 The restaurant is a little gem in an area lacking quality cuisine. We are going again this weekend and really looking forward to it. Simply amazing! Delivered by the owner himself. How many other restaurants in this area would you get the service where the owner is so proud of his product he delivers himself. Have not been to La Min Haz for a while but other takeaways have let us down. Slightly more expensive, but this is authentic and absolutely delicious food and they deliver to your door, fresh, beautifully cooked and in record time. I love La Min Haz.